Supporting the mobile catering industry. 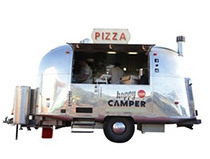 Need a food truck or mobile food caterer for your event or corporate function? Submit your event details and an AMFVG staff member will be in touch with you. Mobile food vendors in Australia are required to work within strict guidelines when handling, preparing, storing and transporting food in order to protect the public from food-borne disease and contamination. The Australian Mobile Food Vendors Group has partnered with Train to Gain – a nationally accredited online training organisation (provider # 22361) that provides Food Safety and Responsible Services of Alcohol training courses and have over 20 years Hospitality/Retail and Training experience. Basic Food Safety: – looks at the risks associated with personal hygiene, food hygiene and safety and the simple steps required to avoid those risks. Food Safety Supervisor: – continues on from the Basic Food Safety course and looks at how to identify, monitor and control areas of risk within a food business. It also covers cleaning, maintenance and record keeping. Responsible Services of Alcohol: – a mandatory course for anyone working in an environment that serves alcohol. Training with us helps give to charity! NO HIDDEN COSTS! NO FUSS! NO WORRIES! AMFVG users receive a 5% Discount on all Train to Gain online courses. To take advantage of this special offer, please contact us and we will provide you with the discount code that you simply enter when registering for any online course through Train to Gain. The Australian Mobile Food Vendors Group publishes an Event & Festival Guide for each state which is continuously updated on a regular basis. This information is only available to AMFVG’s Grow and Pro members. If you’d like to become a member and gain access to this information, please click on the membership link below. If you’d like to register an event to be added to our Event and Festival Guide, please click on the applicable link below. Registering an event is a free service. 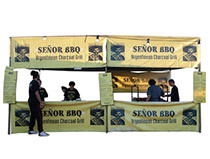 The Australian Mobile Food Vendors Group offers professional event management services specialising in creative conceptualisation and design, detailed planning, execution and reconciliation of all aspects related to a special event involving mobile caterers, whilst encompassing everything from managing mobile food vendors’ legal requirements, event marketing and promotion via our vast network of media contacts and social media following, to contract negotiations. 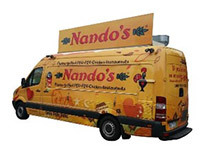 Food trucks are an affordable way to generate income and get recognised in the competitive food industry. At AMFVG we understand many prospective operators don’t have the experience and financial backing to launch into the food truck arena. Our Food Truck Rental program has been specifically created to work with the next talented crop of food trucks. By working with industry experts we provide selected applicants the full setup service from initial consultation to branding and finally a road ready truck hitting the streets. A passion for food and cooking? Motivation and drive to be your own boss? An innovative food truck idea? 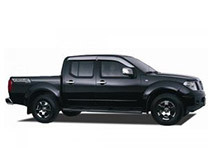 To learn more regarding truck rental, lease and availability please contact AMFVG today. Often, mobile food vendors are not the preferred risk to many insurance companies which can result in coverage that is not suitable and could put your business at risk. It could also result in higher premiums because they do not understand the nature of your business. To assist you with insurance, AMFVG have partnered with the team at AB Phillips to provide you with access to competitive pricing on a range of insurance products, tailored to meet your needs. Or PLEASE CLICK on the image below that best describes your business to find out what insurance and risk management products you should consider. AMFVG does not handle insurance products and is not an insurance company or insurance broker; it only acts as an introducer. 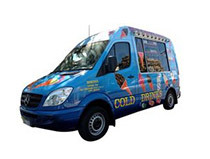 The Australian Mobile Food Vendor Groups preferred accredited business and equipment finance broker can assist with all your financing needs to set up or expand your mobile catering business. AMFVG does not provide financial products and is not a finance company or finance broker, it only acts as an introducer. At the Australian Mobile Food Vendors Group, the relationships we forge with our preferred suppliers are of huge importance to us. We prioritise being able to provide members with products and services that offer great quality and value for money. If you are interested in becoming a member of the Australian Mobile Food Vendors Group simply click the link below, fill out the form and a member of our specialist team will contact you. 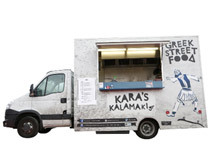 The Food Truck Park™ is an initiative to help grow the mobile food industry and is managed by the Australian Mobile Food Vendors Group (AMFVG). The Food Truck Park™ brings together all the food trucks favourites in unique event spaces across Australia. These vibrant and edgy food havens serve up more than just the average street fare with modern settings, events and a stellar entertainment line-up – there’s no better place to join the food truck movement.